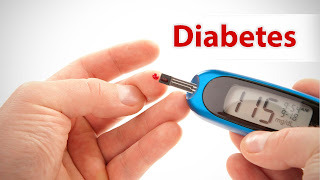 Diabetes mellitus, popularly called diabetes, has assumed a constant presence in our families. Families without a diabetic member is a rarity these days. Characterised by an increase of glucose content in blood, diabetes is a lifelong condition, which affects our body’s ability to process the energy or glucose content obtained from food. Glucose is the prime source of energy for the body. They are the fuel for our brain cells as well. However, in excess quantities, they are deemed to be harmful for the body, leading to serious health conditions like nerve damage, kidney damage, increasing the threat of cardiovascular diseases and so on. Diabetes conditions can be differentiated based on their nature and cause of occurrence. The main types of diabetes are as follows. Type 1 diabetes – also called insulin dependent diabetes, it is caused due to an inadequate production of insulin from pancreas. They are known to have an early onset, probably in childhood. Type 2 diabetes – a milder form of diabetes than Type 1, it is mostly found in adults and a few obese kids. Here insulin is produced by pancreas but are not used by the body due to insulin resistance or lack of insulin sensitivity of the body. Gestational diabetes – this is a reversible form of diabetes, that is triggered with a pregnancy, diagnosed during the middle or late months of pregnancy. Diabetes when left unaddressed can have complicated repercussions on the body. With lifestyle choices making us prone to the disease, it is advisable to have a periodic lifestyle screening tests added to our schedules. Diabetes do not always present symptoms. Some of the often associated with diabetes are as below. The risk factors of the condition are usually associated with genetics, family history and lifestyle choices. Obesity and lack of exercise are among the prime risk factors associated with diabetes. An early detection of the condition can help in better management and avoiding of complications, hence periodic testing is the need of the time. Fayth Clinic, with various centres across Mumbai is one of the best diagnostic services in the country offering accurate screening test for lifestyle diseases at affordable rates.